RUCKUS in rehearsal for our 2nd feature length work, Speed of Life. Between Friday 14th and Sunday 16th we take our successful workshop on tour to country Orange. This is a connection first established by RUCKUS ensemble founder, Alsion Richardson, in 2013. RUCKUS member, James Penny, is joining us as assistant workshop facilitator. Found in Translation is an accessible contemporary dance / movement and performance-making workshop for people living with and without disability - whether participants consider themselves to be practicing professional or non-professional artists and/or arts-workers and teachers. Arrive 9:30am at the hall for a 10am start through to 5pm. We’ll have a 30-minute lunch break at 12:30 and another 15-minute break in the afternoon. On day 2 we'll hold a showing round 5pm on the Sunday. Participation in this workshop is free as it is funded by CareWest. Please contact workshops@dean-walsh.com to book your spot. Numbers limited to 20 people. Highly respected dancer, choreographer, teacher and movement researcher, Dean Walsh, will be facilitating this accessible movement and performance composition workshops with assistance from James Penny and Andrew Batt-Rawden. This workshop is geared towards establishing methods of shared (two-way) integration in movement-based performance making. 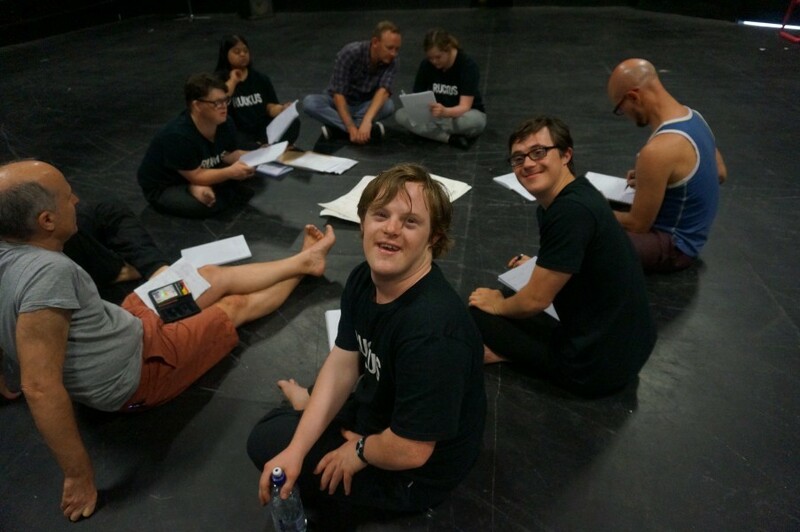 Dean will facilitate a range of performance-making tasks and playful movement investigations that help outline what each person in the room requires, living with or without disability, so we all feel fully included in the creative process where co-participatory inclusion is key. Celebrating diversity of body, mind, communication and conceptual interpretation practice is also a leading concern and will be consistently, yet sensitively, reiterated. Initial discussions in best care-giving practice, specific to engaging people physically and that aren’t condescending, will start our time together.